manager, extraordinary dancer and producer. She began her formal dance training at the Hartford Ballet School under the leadership of Artistic Director Michael Uthoff, Academy Director Enid Lynn and teacher Truman Finney. Through the support of Michael Uthoff and Enid Lynn, Charmaine moved to New York City to study with Arthur Mitchell Artistic Director of the Dance Theatre of Harlem while continuing her formal education at the Professional Children’s School. Her teachers included Karel Shook co-founder of the Dance Theatre of Harlem, Frederick Franklin, Suzanne Farrell, Tanaquil LeClerque, Carmen De Lavellade, Mary Hinkson, Alvin Ailey, and William Griffith just to name a few. She rose through the ranks quickly from the position of company apprentice to corp-de-ballet eventually becoming principal dancer and one of the company’s leading ballerinas. She electrified audiences with her performances in a broad spectrum of roles. She is best known for her role as The Firebird choreographed by John Taras ( Ballet Master with American Ballet Theater) and Medea, choreographed by Michael Smuin (former Artistic Director of San Francisco Ballet.) Additional ballets include Fall River Legend by Agnes De Mille, Billie The Kid, Le Biche, Voluntaries by Glen Tetley, and a long list of Balanchine ballets just to name a few. Among the highlights of Charmaine’s career are command performances for European royalty and historic engagement at London’s Royal Opera House. She also performed for luminaries such as Quincy Jones, Bill Cosby, Oprah Winfrey, Nelson Mandela, Cicely Tyson, President and Mrs. Clinton, President and Mrs. Bush, Mr. and Mrs. Colin Powell, just to name a few. In 1988, as principal dancer, Charmaine was invited to perform in the former Soviet Union as part of the United States Cultural Exchange Initiative. During this historic visit, Charmaine with Dance Theatre of Harlem was inducted into the prestigious Kirov museum featuring Miss Hunter as one of the principal dancers representing as Cultural Ambassador to the United States. In 1992, Dance Theatre of Harlem again made history by traveling to South Africa for an unprecedented six week tour before the end of apartheid. DTH was the first American dance company to perform in South Africa after the 30 year cultural ban was lifted. She performed to sold-out houses and to unprecedented integrated audiences in several townships. During her 25 year career with the Dance Theatre of Harlem, she had opportunities to affect the arts in the U.S. particularly for people of color. Concomitantly spearheading an educational program with the company’s founder Arthur Mitchell, Charmaine taught in some of the country’s poorest township. The program was created specifically for young people with little to no opportunities. The now famous Dancing Through Barriers, DTH’s outreach program had its start in Johannesburg South Africa, three weeks previous to the company’s opening at the Johannesburg Civic Auditorium. In November 2000, as both principal dancer and the company’s Ballet Mistress, Charmaine traveled to China as teaching artist and principal dancer, teaching master classes at various schools around China. In addition to giving China its first performance of the Firebird, Charmaine conducted extensive outreach and educational activities in Beijing and Shanghai. In January 2001, Ms. Hunter was invited to Canada by Mirvish Productions the Toronto based Production Company to direct the resident show Disney’s The Lion King at the Princess of Wales Theater. She held this position for 3 years until the production closed to moved to Amsterdam Holland. Ms. Hunter relocated to Las Vegas Nevada after being offered a position in Casting with the Cirque du Soleil. She served as the organization’s talent scout for dance as well as teacher for the artists currently in the productions on the Strip. She was also invited to teach the artists class on the production of ‘A New Day’ in the Coliseum at Caesars Palace which featured Celine Dion. Charmaine then Co- founded the Las Vegas Contemporary Dance Theater with dancer Bernard Gaddis formerly of Alvin Ailey American Dance Theater. LVCDT is a multi-cultural institution that attracts professional dancers and students from around the world. With financial assistance from various grants and foundations this non-profit organization will provide and inspire young people especially those living in poor communities to live their dreams and reach for the stars. There are several facets to the organization. Each component will carry a solid commitment to enrich the lives of young people and adults of the community, be it through the art of dance, music, theatre, or multi-media. which carved another path in directing and management. Most recently, Charmaine has returned to the professional concert dance world after accepting a full time faculty position as Upper School Principal with Texas Ballet Theater. 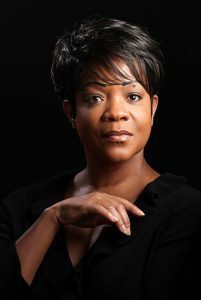 She directs the Professional Division and teaches in the Academy of Texas Ballet Theater in Fort Worth, Texas under the guidance and leadership of Ben Stevenson O.B.E. Artistic Director of Texas Ballet Theater and Director Emeritus of Houston Ballet.